This workout is designed to be done on a mini trampoline. However, if you do not have access to a mini trampoline, you can still get the same benefits of jumping with doing the alternative (Alt) exercises below! Overview: Jumping is a great workout because it’s fun but also really gets your heart rate up and challenges your muscles, bones and core (from balancing)! Try to do each set 2-3 times! *Warmup for 5 minutes first by doing easy jumping, jumping jacks, etc. Trampoline: Do criss-cross jumps for 2 minutes alternating what foot crosses in front. Keep legs slightly bent. Alternative: Jumprope with both feet or to make it harder try doing criss-cross feet. Trampoline: Do 1 minute of standing squats on the trampoline. Alternative: Do regular squats on the ground and hold 1-2 weights to make it harder. Beginner: Same – do them on the ground but no weights. Trampoline: Hold a low squat and jump feet in and out for 1 minute. Alternative: Do this same move on the ground. Beginner: Start in squat, then step feet in together (while staying low), then back out to wide squat. Keep alternating. Trampoline: Do 15 decline pushups with feet on the trampoline and hands on ground. Alternative: Place feet on step or bench (for decline) and do 15 pushups. Beginner: Do 15 pushups on your knees on the ground, or do pushups on an incline (with hands on a bench). 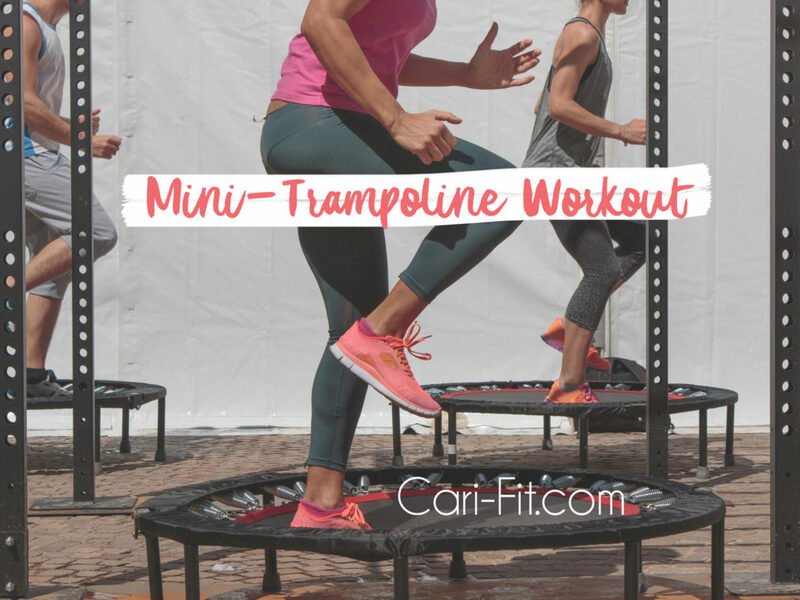 Trampoine: Do high knees on the trampoline for 1 minute and pump arms like sprinting! Alternative: Do high knees on the ground for 1 min and also pump arms! Beginner: March in place for 1 minute. Trampoline: Do 15 elevated lunges on each leg by placing one foot back behind you on trampoline. Alternative: Do this same move using a step/bench and place one foot behind you. Make it harder by adding weights. Beginner: Do 10 stationary lunges on each leg. Bend both legs at 90 degrees and come into a lunge, then slowly straighten legs and return to the top. Repeat for 10 on each leg. Trampoline: 60 seconds “scissor feet” jumping feet front and back. Try adding arm punches. Alternative: Try jumping on the ground with scissor feet, or make it harder by doing this while jump-roping! Beginner: Alternate tapping each foot out in front and add arm punches. Alternative: Do these knee tucks on the ground. Beginner: Keep feet on the ground. 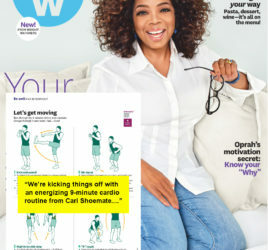 Bend knees and place hands behind you and slowly lean back to engage your core, then sit up tall. Repeat. *Remember to check with your doctor before starting any new diet or exercise program. Be sure to check with your doctor also if you have any injuries to see if these workouts are safe for you.